One of the more negative aspects of boxing in the modern age is the way in which defeated fighters are cast aside, while those who have assiduously protected their “0” occupy the spotlight. It used to be that in defeat you could gauge the measure of a man. No longer. Today a zero in a fighter’s loss column is increasingly viewed as his meal ticket, his passport to a pot of gold. In fact, more often than not, it’s counter-intuitive, as we have seen when blue-chip prospects – overfed on a steady diet of journeymen – come a-cropper the moment they’re matched tough. Just as egregious and lamentable a feature is the propensity to broach the topic of retirement whenever a big name suffers one or two reversals. It doesn’t matter if the defeats are to fellow luminaries; the mere fact that they occurred leads many pundits to question whether the time is ripe to call it a day. This is particularly the case when the pugilist in question has entered their fourth decade. Last month Groves suffered a KO defeat to Callum Smith. Of course, in some cases it is appropriate to raise the subject of retirement, whether based on previous statements made by the fighter, or the lay of the land as it pertains to the viability of well-paid bouts. 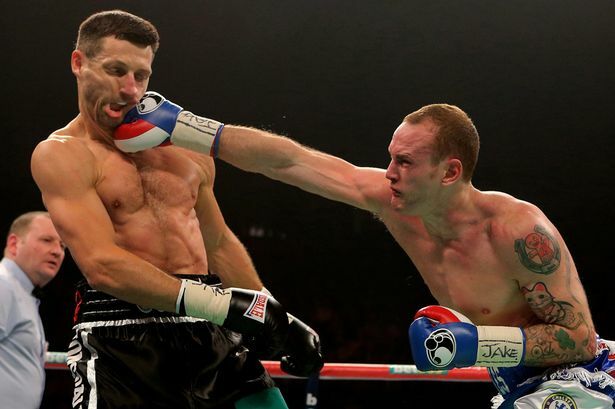 In the case of George Groves, who turned thirty earlier this year and who recently lost in the final of the World Boxing Super Series, it may, or may not, be fair to mention retirement. For a few reasons. While thirty is not old for a boxer, particularly not for one who operates in a higher weight class as Groves does, it seems like the Hammersmith man has been around forever. I remember seeing him capture his first pro championship, the Commonwealth title, in the spring of 2010 against tough Ghanaian Charles Adamu. That same year he got off the deck to beat Scotsman Kenny Anderson in a firefight, and the following summer he won a domestic grudge match with amateur rival James DeGale, who’d scaled Olympus by winning gold in Beijing three years before. There were, of course, many big fights to come: a rough and tumble American debut against Francisco Sierra; a valuable 12-round learning fight with veteran Glen Johnson; and the back-to-back blockbusters with Carl Froch which brought “The Saint” an unprecedented level of exposure. Crazy to think that their first rousing brawl took place almost five years ago. Perhaps more crazy is the rollercoaster ride in the years since he was poleaxed in front of 80,000 punters at Wembley Stadium: the hard-fought wins over Rebrasse and Murray; the close defeat to Badou Jack in Las Vegas; the eye-catching knockouts of Cox and Brophy; the steely, career-defining victories over Chudinov and Eubank Jr.
Groves gave Froch all kinds of trouble in 2013. Winning a world title seemed like a Sisyphean task destined to elude him when he lost to Jack three years ago, but Groves fulfilled a dream by grasping the vacant WBA belt in 2017. Looming like a spectre over the latter phase of the Londoner’s career, of course, was the tragic bout with Eduard Gutknecht in November, 2016. That horrific experience might have ruined him, yet the necessary spite was on full display when he pummeled Chudinov in his very next outing. In summary, Groves has been through the ringer both physically and mentally. Is it any wonder then, given the ups and downs he’s experienced, that the word “retirement” surfaces more often of late? But it was a different story in 2014. 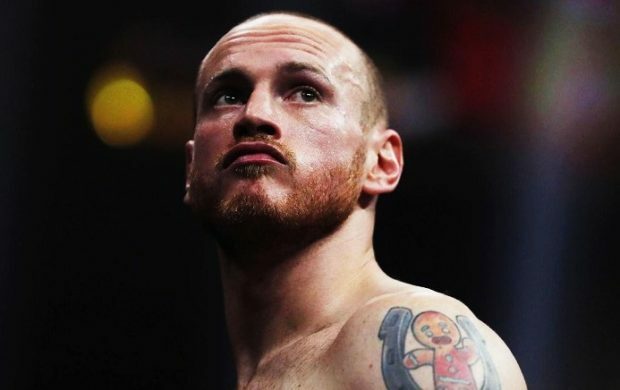 As an aside, it is difficult to think of many British fighters who have partaken in so many domestic blockbusters (DeGale, Froch twice, Eubank Jr., Smith), but if Groves does elect to stick around there are several more he might look forward to. Immediate options include a rematch with the winner of DeGale vs Eubank Jr., which might lose some lustre given the absence of a championship, but will nonetheless do good business. 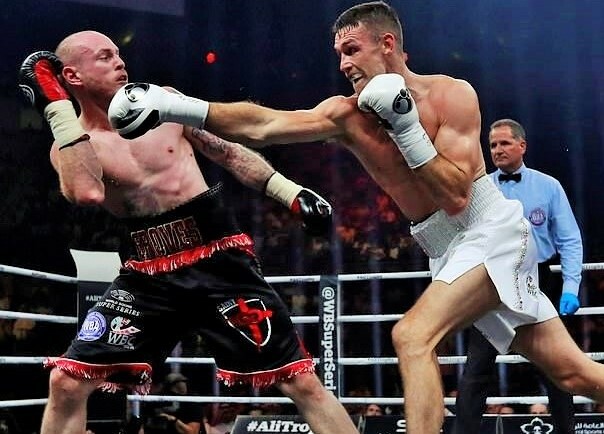 And then there’s a possible return with WBSS conqueror Callum Smith – preferably on home soil this time around. On the world scene, champions Benavidez, Ramirez and Uzcategui represent fresh challenges if Groves’ competitive spirit remains intact after that crushing KO in Jeddah. The prospect of becoming a two-time world champion will surely appeal, and achieving the feat would fit nicely with the themes of persistence and reinvention that have defined his story thus far. “The Saint” forces Martin Murray to look for cover in 2016. Although a move to light heavyweight might be tempting for one who’s spent his entire career boiling down to 168 pounds, the nature of a division populated by genuine bruisers like Bivol, Beterbiev, Alvarez and Kovalev will make a battle-worn boxer think twice. 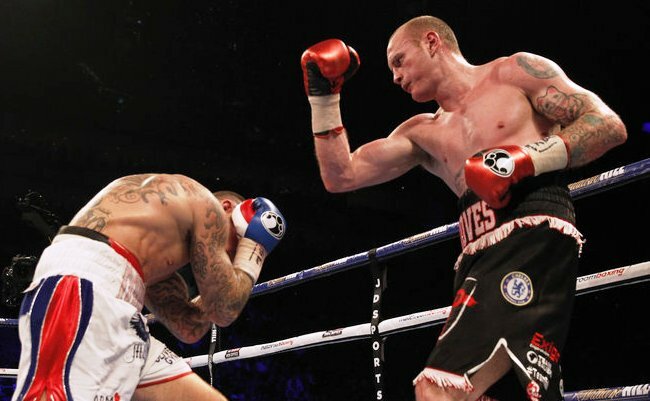 If Groves has a future in the sport, it’s clearly at super middleweight. For what it’s worth, a world title-winning return is not inconceivable. His best performances have come under the guidance of Shane McGuigan, a trainer he clearly trusts, and with his own well-won experience and wiles – not to mention an enviable skill-set (spearing jab, fierce body punches) – he could feasibly re-scale the mountain. It is a question of desire now, whether he can get psyched to tackle the challenge and develop more wrinkles to his game. Because make no mistake, it will be a challenge. The way the younger, fresher Callum Smith bore down upon him before summarily taking him out told us that. 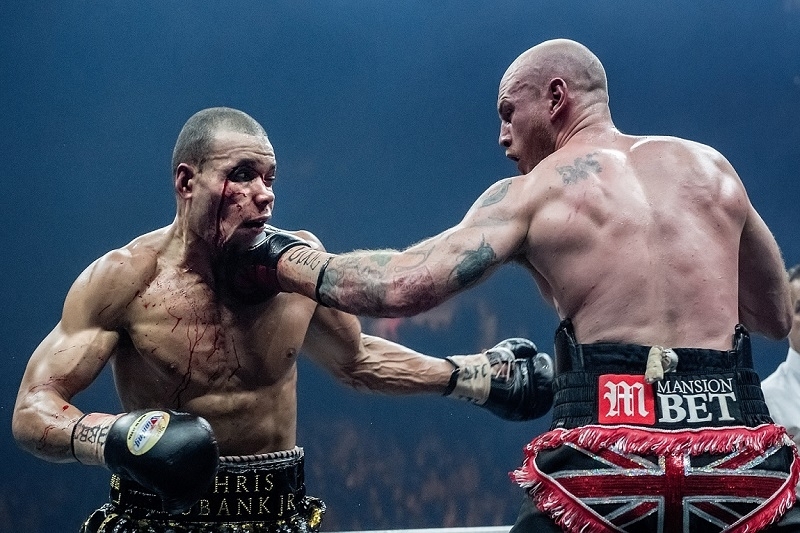 Groves’ most recent victory was his one-sided taming of Chris Eubank Jr.
And so what will he decide? 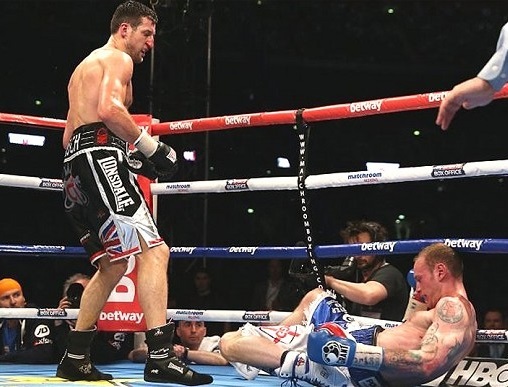 In the wake of the Smith loss, Groves spoke about taking a break and contemplating his next move. 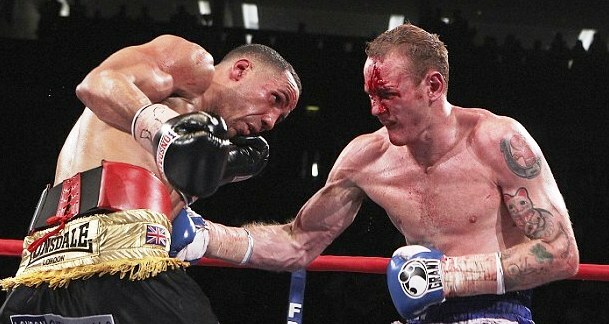 One senses there’ll be no quick rebound as when he fought Rebrasse just a few months after Froch II. This is a matter he will likely contemplate for some time.